Modern architecture of high rise towers are at the Frederick W. Hill Mall. The high rises are made in a sleek grid pattern with reflective glass. The buildings reflect in each other along with a small puffy white cloud. A statue of Frederick W. Hill sits on a platform among the two high rises. 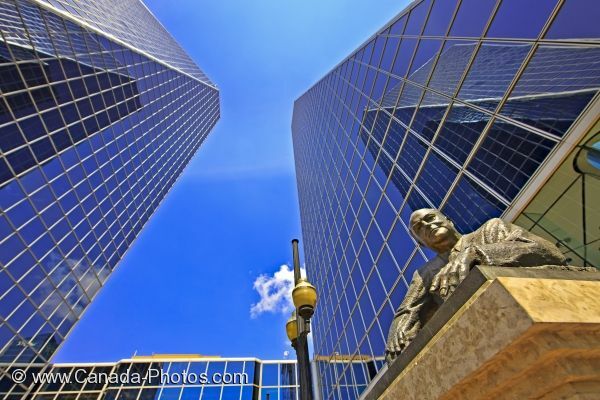 High rise building towers and statue of Frederick W Hill in the Frederick W Hill Mall in the City of Regina, Saskatchewan, Canada.